In Friuli Venezia Giulia, the region in the extreme northeast of Italy, there is Trieste, a city in which a dry wind called Bora blows. 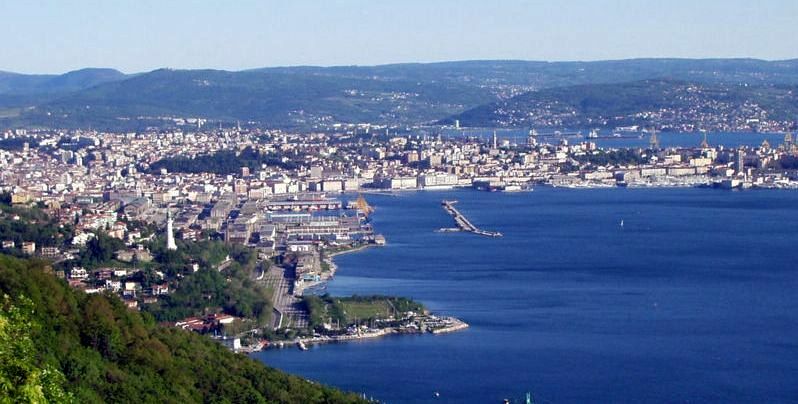 The city is located at the head of The Gulf of Trieste and it is one of the oldest parts of the former Habsburg Monarchy. The city has a Neoclassical style that you can see in “Piazza dell’Unità d’Italia” and its palaces such as: Palazzo del Governo with its balcony covered of Muran glass and white mosaics. Another beautiful site of interest is the City Hall with the Fountain of the Four Continents and the bell tower. There are a lot of archaeological remains such as: the Arch of Riccardo (a Roman gate), the Basilica Forense, the Palaeochristian Basilica, the Roman Age Temples and the Roman Theatre which was built during the Octavian reign. There is also the Lighthouse of Victory, situated on the Greta Hill, it is a monument dedicated to the fallen of the First World War. The city is important also for is historic caffes in Via San Nicolò which remembered the passion of the citizens for coffee. They were frequented by writer and poets such as Joyce, Italo Svevo and Umberto Saba. Vento: wind, it can be defined as air in natural motion which can create also storms and hurricanes. You can find this word in the Italian expression “il vento del cambiamento” (wind of change) which means that a bad situation turns into a better one.